It was introduced with the BBC Television Service in 1936, suspended for the duration of World War II, and remained in operation in the UK until 1985, it was also used between 1961 and 1982 in Ireland as well as from 1957 to 1973 for the Rediffusion Television cable service in Hong Kong. Sometimes called the Marconi-EMI system, it was developed in 1934 by the EMI Research Team led by Sir Isaac Shoenberg. The figure of 405 lines had been chosen following discussions over Sunday lunch at the home of Alan Blumlein. 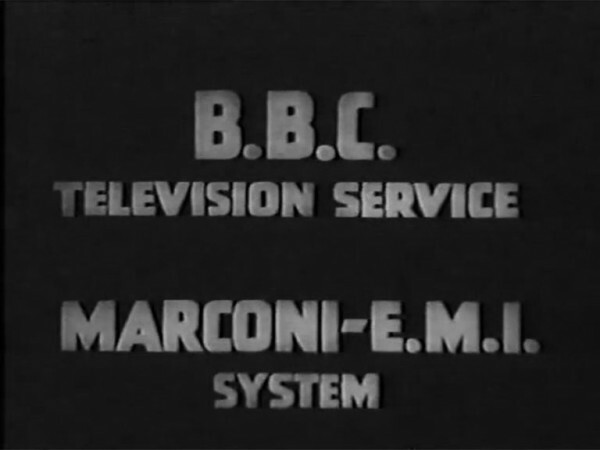 The system was the first broadcast system in Britain to use interlacing, though EMI had been experimenting with a 243 line all-electronic interlaced system since 1933. In the 405 system the scanning lines were broadcast in two complementary fields, 50 times per second, creating 25 frames per second. The actual image was 377 lines high and interlaced, with additional unused lines making the frame up to 405 lines to give the slow circuitry time to prepare for the next frame; in modern terms it would be described as 377i. At the time of its introduction the 405-line system was referred to as “high definition”, which it was compared to earlier systems, although of lower definition than 625-line and later standards. 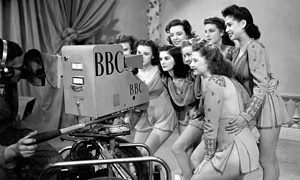 In 1934 the British government set up a committee (the “Television Committee”) to advise on the future of TV broadcasting. The committee recommended that a “high definition” service (defined by them as being a system of 240 lines or more) to be run by the BBC be established. The recommendation was accepted and tenders were sought from industry. Two tenders were received: one from the Baird company offering a 240 line mechanical system, and the other from EMI offering a 405-line all-electronic one. The Television Committee advised that they were unable to choose between the two systems and that both tenders should be accepted, the two systems to be run together for an experimental period. 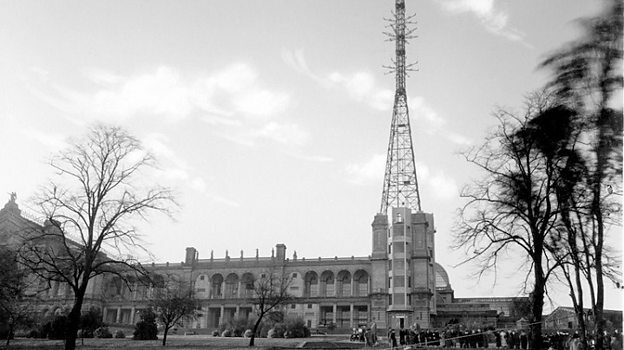 Broadcasting of the resulting BBC Television Service from their Alexandra Palace site began in November 1936, at first time-sharing broadcasts with the 240-line Baird system; however, after three months of trials (in January 1937) the Baird system was abandoned in favour of exclusive broadcasting with the 405-line Marconi-EMI system on VHF. This became the standard for all British TV broadcasts until the 1960s. It soon became apparent that television reception was also possible well outside the original intended service area. In February 1938, engineers at the RCA Research Station, Riverhead, Long Island, New York, in the USA, were able to receive the BBC signal 5,000 km (3,100 mi) away, due to the signal being “bounced” back to earth from the ionosphere. A few minutes of programming were recorded on 16 mm movie film. This is now considered to be the only surviving example of pre-war, live British television. 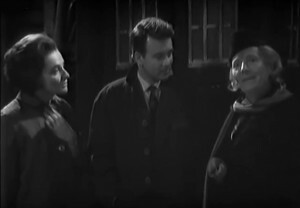 The images recorded included Jasmine Bligh and a brief shot of Elizabeth Cowell, two of the original three BBC announcers, an excerpt from an unknown period costume drama, and the BBC’s station identification transmitted at the beginning and end of the day’s programmes. 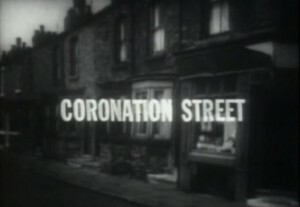 In 1954 the BBC lost its monopoly of the British television market, and the following year the commercial network ITV, comprising a consortium of regional companies, was launched. 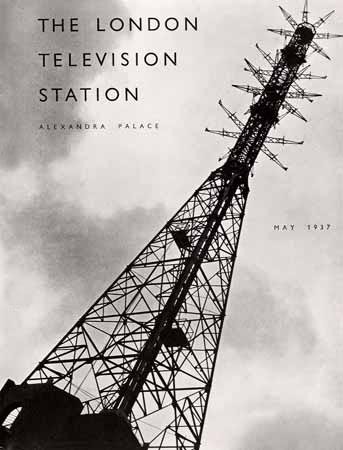 Some ITV companies, notably Lew Grade’s ATV, proposed broadcasting in colour using a 405-line variation on the NTSC system, but after some trials in 1955-1956 on its Alexandra Palace then on its Crystal Palace 405 lines transmitters, the BBC persuaded the Government that colour should await the introduction of a higher-definition system. In 1964 the BBC launched its BBC2 service on UHF using only a 625-line system, which older sets could not receive. 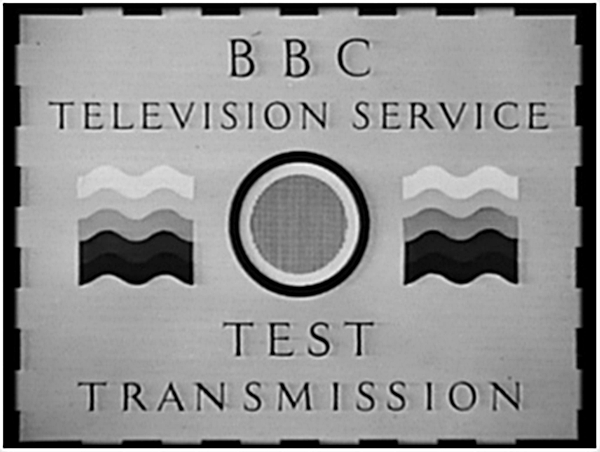 For several years BBC1 and ITV transmitted using the 405-line and BBC2 the 625-line standard; the only way to receive them all was to use a complex “dual-standard” 405- and 625-line, VHF and UHF, receiver. The introduction of colour on BBC2 in 1967 necessitated an even more complex dual-standard set to receive all three channels. 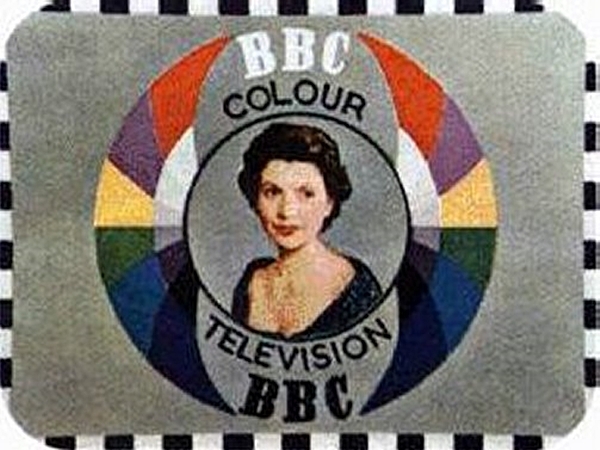 In November 1969 BBC1 and ITV also started broadcasting in 625-line PAL colour on UHF. 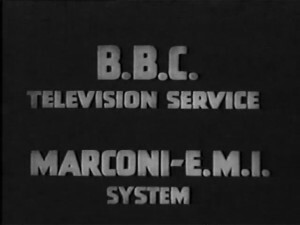 As their programming was now entirely produced using the new standard, the 405-line broadcasts served only as a rebroadcast in monochrome for people who did not have the newer receivers. Thereafter, receivers were of a simpler single standard design which could not receive the legacy 405 line transmissions. One reason for the long switchover period was the difficulty in matching the coverage level of the new UHF 625 line service with the very high level of geographic coverage achieved with the 405-line VHF service. The last 405-line transmissions were seen on 3 January 1985, in Scotland, having been shut down one day earlier in the rest of the UK. This left only the UHF PAL system in operation in the UK. The frequencies used by the 405-line system were initially left empty, but were later sold off, used now for other purposes including DAB and trunked PMR commercial two way radio systems. 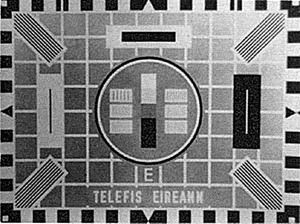 Ireland’s use of the 405-line system began in 1961, with the launch of Telefís Éireann, but only extended to two main transmitters and the five relays of them, serving the East and North of the country. This was because many people in these areas already had 405-line sets for receiving UK broadcasts from Wales or Northern Ireland. 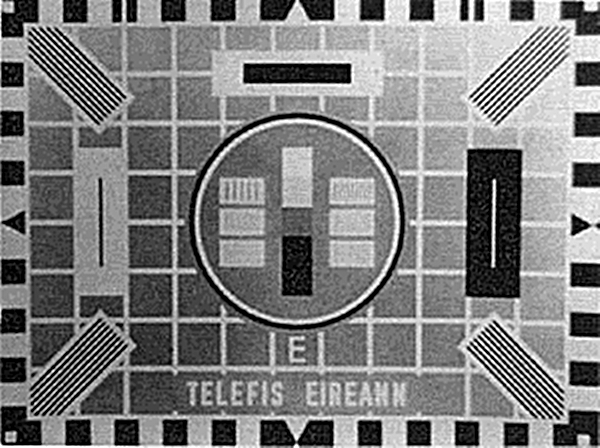 Telefís Éireann’s primary standard was 625-line which began in the summer of 1962, more than two years before the UK had any 625-line channels. The last 405-line relays, in County Donegal were turned off in 1982, with the main transmitters having been shut down in 1978 to free up frequencies for RTÉ 2, the relays had been fed by standards converters from the local 625-line transmitter. For the last five years of RTÉ 405-line simulcasting a simple orthicon converter was used, essentially a 405-line camera pointed at a 625-line monitor, as the more expensive system converters that RTÉ previously used had broken down. For a brief time in 1939 there were experimental 405 line transmissions from stations in Montrouge, France and Eindhoven, the Netherlands Czechoslovakia and Switzerland. A few 405-line videotapes still survive. However, the majority of surviving 405-line programmes are in the form of black and white film telerecordings, usually with optical soundtracks. Occasionally video re-recording would be employed instead, with a 625-line camera pointing at a 405-line monitor. This preserves the original 50-field interlaced format, but with some geometrical distortions owing to the curvature of the CRT monitors used at the time. 405-line programming may be recorded and played on an unmodified VHS or Betamax video recorder, as long as the input to the recorder is baseband rather than RF. Thus various modern video recordings of 405 line programming also exist. 405-line is System A in the CCIR assignment of broadcast systems. The audio uses amplitude modulation rather than the frequency modulation in use on modern analogue systems. 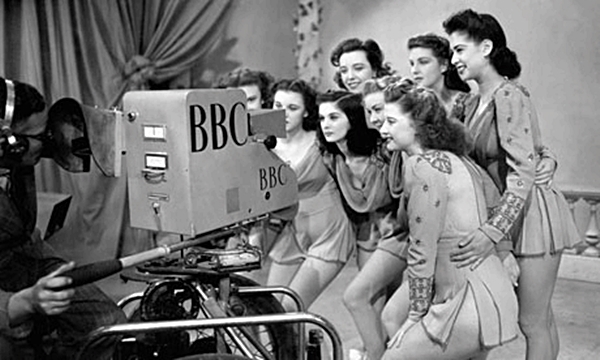 In addition, the system was broadcast in an aspect ratio of 5:4 until 3 April 1950 when it changed to the more common 4:3 format. Since the mid-1930s it has been standard practice to use a field frequency equal to the AC mains electric supply frequency (or a submultiple thereof) 50 Hz in most countries (60 Hz in the Americas) because studio lighting generally uses alternating current lamps and if these were not synchronized with the field frequency, an unwelcome strobe effect could appear on TV pictures. Secondly the smoothing (filtering) of power supply circuits in early TV receivers was rather poor and ripple superimposed on the DC could cause visual interference. However, the main problem was the susceptibility of the electron beam in the CRT being deflected by stray magnetic fields from nearby transformers or motors. If the picture was locked to the mains frequency, this interference would at least be static on the screen and thus relatively unnoticeable. Because an interlaced system requires accurate positioning of scanning lines, it is important to make sure that the horizontal and vertical timebase are in a precise ratio. This is accomplished by passing the one through a series of electronic divider circuits to produce the other. Each division is by an odd integer. Therefore, there has to be a straightforward mathematical relationship between the line and field frequencies, the latter being derived by dividing down from the former. Technology constraints of the 1930s meant that this division process could only be done using small integers, preferably no greater than 7, for good stability. The number of lines was odd because of 2:1 interlace. The 405 line system used a vertical frequency of 50 Hz (Standard AC mains supply frequency in Britain) and a horizontal one of 10,125 Hz (50 × 405 ÷ 2 or, using the frame rate, 25 x 405), with 405 being derived from (3 × 3 × 3 × 3 × 5). The use of VHF frequencies combined with the narrow vision bandwidth (AM signals at VHF low band frequencies] are less affected by noise as bandwidth is reduced) meant that 405-line signals could be received well even under marginal conditions. Therefore it was possible to cover virtually all of the UK with a relatively small number of transmitting stations. The use of AM (rather than FM) for sound and the use of positive (rather than negative) video modulation made 405-line signals very prone to visible impulse interference, such as that generated by the ignition systems of vehicles. Such interference manifested itself as a loud popping on sound and large bright spots on the picture, which viewers found much more noticeable than the dark spots encountered when such interference is encountered on a signal using negative video modulation. With positive modulation, interference could easily be of similar amplitude to the sync pulses (which were represented by 0–30% of the transmitter output). The early time-base circuits were less able to discriminate between the signals and the picture would break up. By contrast, in negative modulation sync, pulses represent peak transmitter output (70–100% output). As a result, impulse interference would cause visual dark spots before it was large enough to affect the synchronisation of the picture. If the interference was large enough, the picture was probably unwatchable anyway. The later introduction of flywheel sync circuits rendered the picture much more stable, but these could have alleviated some of the problems with positive modulation. Almost all television systems that postdated the 405-line system adopted negative modulation for this reason alone. By the mid-1950s, several manufacturers started to introduce gated-AGC systems to avoid this issue. A delayed pulse was derived from the recovered line-sync signal. This pulse would trigger a gate which would sample the received video signal during the “back porch” which was a guaranteed black-level transmitted between the end of the line-sync pulse and the start of the picture information. This is a common artifact in sets that use a cathode ray tube. While all CRT-based television systems produce such a noise, the higher number of lines per second in later standards produces frequencies (PAL’s 15,625 Hz and NTSC’s 15,734 Hz) that are at the upper end of the audible spectrum, which not all people are able to hear. Modern sets using plasma, LCD or LED display technology are completely free of this effect as they are composed of a million or more individually controllable elements, rather than using a single magnetically deflected beam, so there is no requirement to generate the scanning signal. The absence of equalizing pulses to facilitate interlace was defended at the start of the BBC service on the grounds that it only caused a lack of interlace with field synchronizing separators of the integrator type, and that there were, even at that time, numerous other circuits which gave completely accurate interlace without equalizing pulses. The question was raised again from time to time, but a series of tests, conducted during 1952 in cooperation with the British Radio Equipment Manufacturers’ Association, confirmed that there was no general need for equalizing pulses. On some larger TV screen sizes, the scanned lines were not fat enough to give 100% coverage of the CRT. The result was a lined picture with darkness between each horizontal scanned line, reducing picture brightness and contrast. Larger screen sets often used a spot wobble oscillator that slightly elongated the scanning spot vertically at high frequency to avoid this line separation effect without reducing horizontal sharpness. Spot wobble was also utilised when making telerecordings of 405-line programmes. 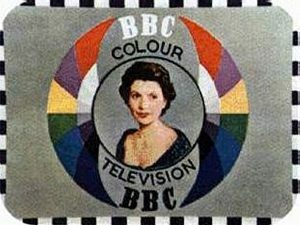 During the late 1950s and early to mid-1960s some experimental colour broadcasts were made in the UK with the 405-line system using NTSC colour encoding. The subcarrier frequency was 2.6578125 MHz (525/2 times line frequency) with an “I” signal bandwidth of 500 kHz and a “Q” signal bandwidth of 300 kHz. Tests with PAL, SECAM and other NTSC subcarrier frequencies were also attempted. 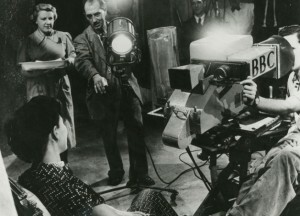 The tests became quite comprehensive, featuring slides, films, live studio camerawork and even outside broadcasts. Receivers were installed in people’s homes to assess the problems involved with reception, though demonstrations were also given at the studio to visiting parties. 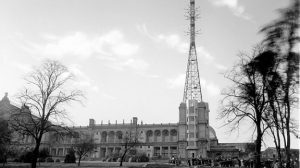 At first both the studio and transmitter were housed at Alexandra Palace, though in 1957 the Crystal Palace site was brought into use and from there uhf and 625-line NTSC colour test transmissions were eventually made. The ITA favoured the French SECAM (Système en Couleur à Mémoire) and made some test transmissions in the autumn of 1962 to assess monochrome receiver compatibility.